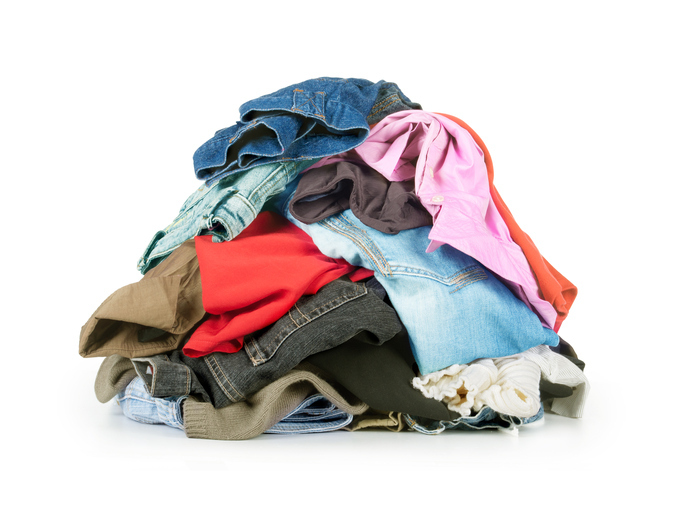 A heap is a group of things thrown or placed one on top of one another, forming an untidy pile. Informally, any great or large number of anything can be called a heap. As a verb, to heap means ‘to gather in a heap’ or ‘to put in a heap.’ To heap also means ‘to accumulate’ and, if you give something in great amounts or supply something or someone with great deal of something, that’s also to heap and, in this sense, the verb is often used with the preposition on or upon. A heap of clothes lay on the teenager's bedroom floor. The delivery delay caused the store manager a heap of problems. Snow had heaped along the sides of the road. Janet heaped the papers together and pushed them to one side of her desk. The old man had spent his life heaping up riches. The irate cyclist heaped insults on the driver who knocked her off her bike. Oliver's mother heaped his plate with food. The related adjective heaped or heaping is used in measurements to mean that the container used for measuring is filled to above the brim, so you might find an instruction in a recipe to add a heaped tablespoon of flour, for example. In abstract algebra, a heap is a generalization of a group. You can read more about this meaning of heap here. Don’t confuse heap with hip. To a non-native ear, these two words might sound similar, but heap rhymes with sheep, sleep, and weep, whereas hip rhymes with ship, slip, and whip. You can listen to both pronunciations on the WordReference website. Heap dates back to before the year 900. The Old English noun hēap, which became heep in Middle English, originally meant ‘a pile of things,’ ‘a large amount of something,’ and ‘a multitude or crowd of people.’ We know it came into English from the West Germanic haupaz, but its origin before that is uncertain. Some linguists believe it is related to heah (the Old English word for high), from the Proto-Germanic haukhaz, while others find a common link with the Latin cubare. It is related to the Old Saxon hop, the Old Frisian hap, the Middle Low German hupe, the German Haufe and the Dutch hoop, all of which mean ‘heap.’ It has been used as slang for an old car since the 1920s, but in the 19th century, it was also used to mean ‘a slovenly woman.’ The verb comes from the noun, but also dates back to before the year 900. The Old English verb heapian became the Middle English heepen or heapen before dropping the -en ending in Modern English.